Are you whom you want to be? We are whom and what we make ourselves to be. I grant some truth to the foregoing. But still—we make choices. Every day, every minute. I am a writer and doll artist because I have juggled, made deals with myself, consciously chosen lower income and a part time job as a writing instructor so I have the time to pursue my own creative projects. I have done this for about thirty years. I was always writing something, moving that pen, typing on keyboards, playing with words. The acclaimed American writer William Vollman used to hide under his office desk when the end of the work day came, sleeping there, so that he could use the computer (being too poor to afford one himself) to write his first novels. Sometimes I get mad at myself. Should have been a radiologist, I mutter in my head, could have had a far, far better income. That doubt returned to me a couple days ago when a lovely young student revealed she gets twice as much (if not a bit more) in a monthly government grant to take six units as I get to teach six units. My doctor, a very intelligent man, doesn’t get to read. He (has to, cough, cough) work six days a week. Last time I was at his office, I had a school textbook, so he was more—how can I put this—supportive. 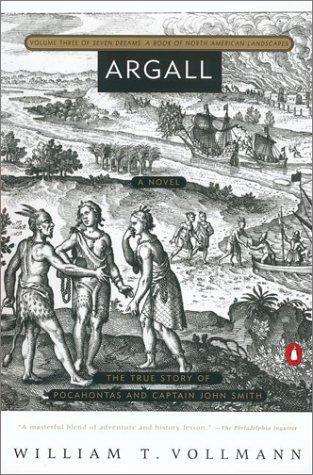 But with Argall, Vollman’s innovative literary approach to the history of Captain John Smith and Pocohontas on my lap, my doctor clearly felt jealous—of my cushy life, my time to read. Though he probably earns ten times a year what I make, he can only take off about three weeks to travel to exotic locales. He has a lot of patients. We are all waiting for him to return. And that is what he chooses to do: return to his patients. I felt a lot better after seeing him. The cough medicine isn’t really working and I may need antibiotics, but he made me grateful for having followed my heart and for having made choices consciously, willingly. I paid for the freedom to write, and I have it. If I tell you how much fun it is, you will be jealous. There’s something about modern technology that sends writers running for cover. If we were characters in LOST, we’d know exactly why we wanted to get back to the island—as long as the timeframe we landed in was the 1970s. Like Sawyer and Juliet, most of us would embrace the simpler lifestyle those days provided (less the weird Dharma Initiative folks, of course). Alas, the world keeps changing, pushing us forward. Writing a book is no longer the end of our journey, it’s merely a step along the ever-lengthening path. A path where new obstacles seem to appear every day. Back in the 90s, when MP3 players were first coming onto the scene, I asked both of my daughters if they’d like one for Christmas. Each carried her CD Walkman with her most where ever she went. Given how CDs required a bigger or extra carry case and were easily stolen or lost, I thought the idea of having a tiny device that held more music without the hassle of CDs would be a huge hit. Instead, they rolled their eyes and told me MP3 players were stupid, and no one wanted one. Now of course, both girls have numerous devices that make MP3 players seem like dinosaurs. CDs will ultimately go the way of vinyl and cassettes, leaving us with the digital only format for music. Regular DVDs are being replaced by higher quality Blu-ray discs, which in turn will eventually give way to digital downloads. Analog TV is out, high-def digital is in. Next up, 3-D TV, complete with those silly 3-D glasses (only they won’t be so silly at $500 a pop). As much as we might wish it were so, the publishing world is not immune to technology. Many well-known newspapers have folded in the past five years. 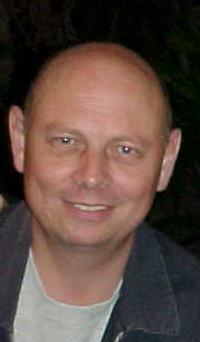 Those that have survived supplement their hardcopies with on-line versions. Most publishers have added e-books to their printed catalogues, and new e-book readers to compete with Kindle arrive every few months. As Spock from the old Star Trek series might say, logic would dictate it’s only a matter of time before those printed catalogues disappear entirely in favor of digital books. There are tons of writers and readers out there who will scoff at that prediction. I used to be one of them. And some days, I still am. After all, I did use a notepad and pen to jot down notes for this article over breakfast this morning. Old habits die hard, don’t they? Even heroes are human. In fact, that’s one of their biggest attributes, at least in my world. Neither of my two personal favorites, Elvis Presley and Kobe Bryant, have ever gazed down at me from a state of perfection. To some that disqualifies them as bona fide heroes. After all, isn’t that the very point of a hero? That he or she is considered perfect in every way, something we all strive to be? Talk about setting ourselves up for failure. No one is perfect. Superheroes are so named for the fact that they are super heroes, i.e. above and beyond the definition of a hero. Real life heroes have real life flaws. That’s what makes them human. As much as I love Elvis, he had weaknesses. While the specifics will probably be debated for infinity, he did have a drug problem which, more than likely, contributed to his reluctance to take charge of his career in later years. He also spent lavish amounts of money (on himself and others). But Elvis did everything in extremes; it was part of who he was. Faults that made him human. In my previous post, Do writers need heroes?, I mentioned how impressed I am with Kobe Bryant’s work ethic. How he goes out and plays every night no matter the injury. Ironically enough, he’s missed the past five games because of a sore tendon above his ankle. I’ll admit I was shocked he opted to sit out the Lakers game against Portland last week, especially since his team hadn’t won in that arena in the past nine tries. But the fact is, Kobe needed to sit out that game. (And guess what? The Lakers blew out the Blazers without him!) After having played in 235 consecutive games, Kobe finally reached a point where his body reminded him that he was human. Knowing our heroes are human gives us permission to be the same. I haven’t spent as much time on marketing this week as I should have. I’m painting our bathroom, giving it a much-needed spruce up. And giving me some much-needed time away from the computer and the daunting task of trying to draw people to this blog so they will see my and Julia’s work. But it’s okay. I can forgive myself because, like Kobe and Elvis, I’m only human. It takes time away from writing. That’s the main drag for me, anyway. Other writers may cite various reasons, things like “I’m not good at marketing, I don’t know how to market, I’m a writer so it’s not my job to market.” Unfortunately, all the reasons in the world, logical or not, aren’t going to erase the fact that no matter how or why we hate to market, we have to do it if we’re to have any hope of being read. The good news is, technology has vastly improved our venue. Blogging is, at least for the time being, one of the best ways to get the job done. It’s cost effective (free in most cases) and simple to update. We literally have the world at our fingertips. Bringing that world to our virtual doorstep, however, takes a heck of a lot of work. In fact, I’ve found that since I started putting this blog together in September, I’ve had absolutely no time to work on anything else writing-related. I’m still in the process of learning how to get exposure for this site and probably will be for at least the rest of this year. A year I could have spent completing the first draft of a new novel. But every day I have to ask myself, what would be the point of writing another book no one is ever going to read? I don’t entertain illusions of becoming a bestselling author; those dreams have long passed. All I want now, as I approach my mid 50s, is to develop a following of a few thousand readers—people who enjoy my stories and let me know they’re waiting for me to write another. I’m very a very logic-centered person, so to me that doesn’t sound like an unattainable goal. What I have to do now is find a way to reach those potential readers. As with most things, the key will be persistence. When I was a kid in the 60s, my classmates and I often chided each other with that little catch phrase. We then proceeded to brag about what that something was, and how knowing it made us better than those who didn’t. And I suppose that was okay, given we were eight years old at the time. As an adult, however, I don’t find it okay, especially when it originates from other adults. Let’s face it, we all know someone who purports to know everything about every thing. Those aren’t the people I’m addressing here. They only hurt themselves because when they’re called on to give specifics, it turns out they don’t know all that much after all. The type of people who ruffle my fur, so to speak, are those who are knowledgeable about a certain subject and insist on flaunting the fact in front of others who know nothing about it. They know something you don’t know—and they have no intention of clueing you in because if they know something you don’t it makes them feel superior. Now really, how ridiculous is that? Why would it make anyone feel good about themselves to know they have a skill they could easily pass on to friends but opt not to just so they can brag about it? Glance to the right and you will see our new page, “Reading downloaded books is easy!” Obviously if you know how to download a book off the net and read it, you already know it’s easy. But what if you’ve never done it before? Think about the first time you tried to ride a bike. Most of us fell off several times before we learned to balance on two wheels. We weren’t born knowing how to ride, we had to learn. Six months ago, I knew absolutely nothing about blogs. Now I have one. How did I do it? By scouring You-Tube for videos about blogging, reading through support pages and forums, asking questions. While doing all of that, I came across some helpful people. I also ran into some real jerks. People that berated me for asking such a stupid question, or pointing out that I was in the wrong forum for support on that topic. And it wasn’t just me. I read through numerous comments where those asking the questions were made to feel as if they were total idiots for having asked something that they obviously should have been born knowing the answer to. Be assured that no one will ever be berated on this blog for asking any questions, be they about me or Julia, our books, our blog, or anything else we might be able to help you with. We value each and every person who visits our site, and thank you very kindly for stopping by. Or, as Elvis would say, thank you, thank you very much. Sometimes the feedback of critics can be lacerating, even when those critics are dear friends who have, until that moment, seen eye-to-eye with us on almost everything. This puts me in mind of the movie Julia starring Vanessa Redgrave and Jane Fonda. Jane Fonda plays the playwright Lillian Hellman. 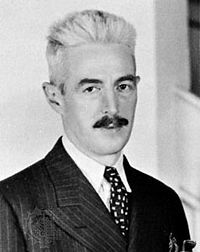 Dashiel Hammett was the author of The Thin Man and The Maltese Falcon (classic films that can be viewed on TCM); he was also Liillian Hellman’s mentor and lover. In one part of the film, after Hammett has read the play Lillian Hellman has worked so hard to complete, Hammet tells her to tear it up. He says it is not worthy of her and that she can do better. The problem with accepting this scene as real lies in the fact that Hellman was notorious for embroidering her memoirs to make them more—um, literary? For the sake of argument, let us suppose Hammet really did as the scene in the movie suggests, and that Hellman did go back to the typewriter, starting afresh. I would not always advise this as a safe course to writers, even if their lovers are older and far more successful writers. A critic’s opinion is that of one person. While a seasoned writer should be listened to, other considerations are what kind of reading material that person favors, what kind of material he or she writes, and what kind of success that person has attained, given the circumstances. Success means financial or recognition in the form of awards, a writing job, publication, and of course, popularity. Notwithstanding all this, feedback must be taken with a grain of salt. For one thing is dead certain: critics will disagree. It would be senseless to try and please everyone. Make up your mind not to, instantly. “I think you must be psychic or something. You always send me an encouraging email at just the right time! Thank you for your lovely words. When I got your message I was feeling very down. I had just finished the final draft of The Confraternity when I received an email from [a friend] giving some belated feedback on the novel. And he disliked everything about it, which completely shattered my confidence in it! So your email was soothing balm to my tattered confidence. Yes, we must be obsessive types or else why would we put ourselves through all this struggle and expose ourselves to the hurtful comments of critics etc. Status is a strange thing is it not? It doesn’t ever seem to be based on anyone’s true worth as a human being. It’s all to do with money, connections, reputation, job position, never anything to do with kindness, empathy, responsibility, love etc. Yes, Colin, I think so too. 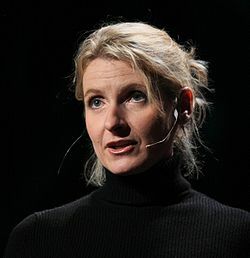 While I did enjoy listening to a famous writer openly contemplate the possibility of not living “up” to her established genius (clearly demonstrated in Eat, Love and Pray, and most easily proved by its sales figures) in any subsequent endeavor, what touched me most about Gilbert’s sincere declamation was her acceptance of her accomplishment as–I will say the word again– “genius.” It took her a while to get to the possibility that we all have genius inside of us–so long, in fact, that I began twitching in my seat. I remind myself she is young–only 40–for so much luck. That kind of luck is bound to go to one’s head. What other excellent writers know who have NOT hit the, ahem, “big time,” is that there is such a thing as chance. Good Luck. Having the right work out there at the right moment with the right agent. Being born at the right moment, in the right country–nay, in the right city! The question is, dear reader, how would you react to great success? Would you feel like Hurley/Hugo–after he won the lottery and landed on the island in TV’s Lost series? How set apart from others would you feel? The recently deceased J.D. Salinger decided he had had it with success after Catcher in the Rye. (Stopped wanting to have anything to do with the world in the mid 60s at the height of his fame. In the 70s he stopped giving interviews and in the 80s he appealed to the Supreme Court to prevent a British critic from quoting his letters in a biography. But you can google all that–) Note this: he did not stop writing. Gilbert is right about a person needing a philosophic construct–though I was actually surprised to hear her say that after describing her epiphany (you gotta read the book!) of faith. I thought spiritual faith and philosophic constructs were package deals. Silly me.